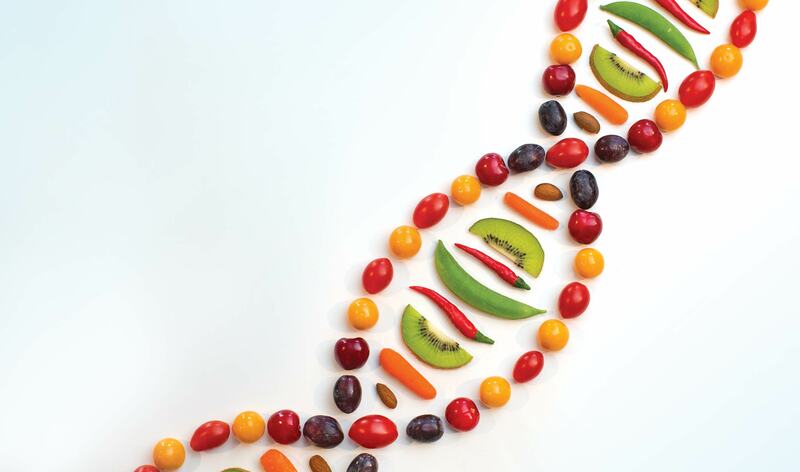 The emerging field of nutrigenomics investigates the interaction between our genes and the food we eat. Researchers have discovered that our individual genetic makeup may determine our ideal diet. Dr. Ahmed El-Sohemy, Canada Research Chair and Professor in the Department of Nutritional Sciences is an entrepreneur and pioneer in nutrigenomics, a new field of health studies. According to El-Sohemy, nutrigenomics research investigates “how individual genetic variation affects a person’s response to nutrients and impacts the risk of nutrition-related chronic diseases.” It turns out that each one of us responds differently to food, according to our unique genomes. Nutrigenomics suggests that knowing our genetic makeup can be enormously useful for deciding what we shouldn’t eat, what we should, and how much. To this end, El-Sohemy has created a test that provides that knowledge, and founded a biotechnology startup called Nutrigenomix Inc. that markets and sells the test as a tool for health-care professionals. The test reveals how an individual’s unique genetic code determines his or her body’s response to several dietary components, including vitamin C, folate, whole grains, omega-3 fat, saturated fat, sodium, caffeine and more. Based on the results, a registered dietitian can develop individualized dietary plans for clients that reduce their risk of developing chronic conditions such as heart disease, diabetes, high blood pressure, obesity and certain types of cancer. Does your biology determine how foods taste? In addition to personalized genetic testing, El-Sohemy also investigates food preferences across populations. One recent study found that cilantro aversion varies dramatically between ethnic groups. Personalized nutritional information and scientific validation of food preferences are extremely interesting, but will we sacrifice flavour if told we have a salt sensitivity, or give up coffee if we metabolize caffeine too slowly? In other words, does personalized DNA-based diet advice actually work? “It absolutely does,” says El-Sohemy. “Here at U of T, we conducted the first randomized, controlled trial to determine the impact of disclosing DNA-based dietary advice on eating habits.” The study found that participants who were given a personalized, genetic reason to consume less salt were more likely to be following that advice one year later than those given typical, generic health reasons to consume less salt. If it is more effective than the traditional “one-size fits all” approach to diet, personalized genome-based nutritional advice promises to revolutionize the way we approach nutrition and health. For people who suffer from conditions like gluten intolerance that are caused by modifications in a single gene, nutrigenomics could improve prevention strategies by identifying the gene early. For many of us, it can lower our odds of developing life-threatening conditions.